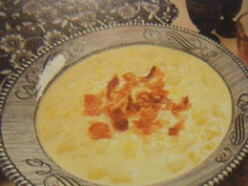 One of the final prizes in the Cookbook Contest will be awarded to the best family recipe, however I have seen relatively few contest entries that are explicitly designed to be good for larger groups, capable of producing multiple meals that can be eaten throughout the week, or amenable to assistance from little helpers. This means that the few good family entries that ARE being submitted have a better shot at winning a final prize than, say, a dessert recipe. Don’t you want to make the most of this opportunity? Even if you don’t win a prize, you’ll be writing on a very searched-for subject! Make sure that you stop by the official contest page before publishing your Hub to make sure your Hub meets the entry requirements, which include Hub length of at least 500 words and use of only properly-cited and legally-used images[/url]. 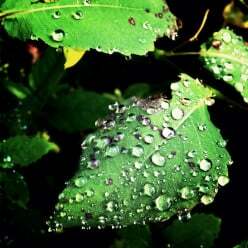 1) Stop by this week's Weekly Topic Inspiration Question. Here's my latest family friendly meal: Stuffed Shells with Carrots, Zucchini, and Tofu. The hub describes how to make this everyday favorite, gives tips for including the kids in the preparation, and explores the pros and cons of hiding vegetables in kids' food. Enjoy! I've never seen carrots stuffed into these! 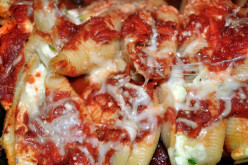 I've always stuffed shells with ricotta and spinach. Love this Hub! 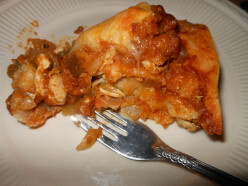 One of my personal favorite recipes - healthy, budget friendly and a family favorite. Here are healthy breakfast ideas complete with pictures, video, and great links. Breakfast is an the most important meal of the day for kids yet many parents neglect to make their children a healthy breakfast. These ideas make breakfast quick, easy and FUN! A two for one? Nicely done, Austinstar! And those are awesome, chrissieklinger! 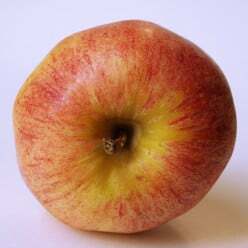 I've always wanted to make a dessert using applesauce.... perhaps I should have a go with this one! Good share. I didn't use one of your titles, but this is a simple and fast meal perfect for busy families. Fast indeed! I think I've only used cottage cheese in a pasta dish once before. I definitely want to try it again now that I've read your recipe! Simone, I know what you want and I think I might do something creative with this, since (Ahem!) I'm an excellent cook! (I don't have one cell of shame in my body, do I?) Anyways, how long will this contest last? Because I would have to go to the grocery store, buy the week's menu ingredients and cook for a whole week, take pics, etc. Let me know pleeeeeeease. The final deadline for submitting entries is June 28th at 12:00pm, so you definitely have time to put together this intriguing Hub! I can't wait to see it! It sounds awesomely efficient and convenient. Simone, I was thinking about doing a weekly menu for a family of four. Is that too much?! I don't know if I'm on the right track. 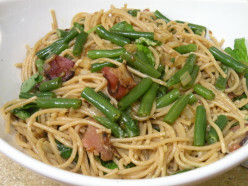 My idea was taking some of the best low-budget meals of Rachael Ray and adding a twist of my own to make them healthier and replacing some of the ingredients to seasonal ingredients. This is what I do at home anyways, so it comes as a no-brainer. Is this something worth doing? I've got a great menu in mind, lots of variety and pretty healthy, too. Let me know please. I might be overdoing it! Oops! I hadn't seen this. I don't think it's too much. Many folks search for meal plan ideas online. This sounds great! 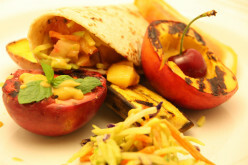 I've never had grilled fruit before. Looks like so much fun! AAAAH!! You're killing me with this delicious-looking food! HELP! I'm trying to do a weekly family meal plan but the format only allows me to use one set of ingredients and cook-time per hub, so I can't plan it out as it's supposed to. I'd like to give readers a choice of doing the weekly or daily menu, as they please. There are some glitches when I try to edit the ingredients, too. It doesn't let me change the heading of that capsule. And I recommend setting cooktime for the average cooktime each meal takes. Got it! This is going to be one LONG hub! I hope this is okay. 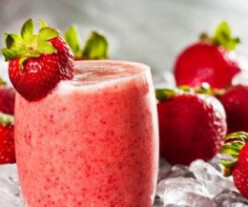 Here I included several delicious recipes for smoothies which are really popular right now. I hope everyone will check them out. Nice! Smoothies are definitely a family hit! That's quite the guarantee! I'm intrigued! It is truly one of the best chili recipes ever. 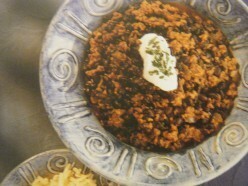 I often take that chili and turn it into black bean burritos. Today everyone makes the Peanut Butter Pies in the refrigerator but there is a better way. Here I reveal for everyone how to make an Old Fashioned Peanut Butter Pie and once you taste it I think you'll agree that its the best peanut butter pie that you've ever tasted. I guarantee you it's well worth the time it takes to make and I've included photos and detailed instructions. I am such a huge fan of peanut butter... this sounds amazing! The photos are great, too. 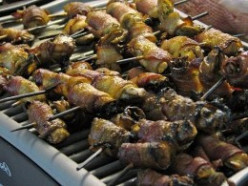 Here I tell you exactly how to shuck oysters quickly and easily plus you'll find a delightful recipe for Grilled Angels On Horseback which is oysters wrapped in bacon and grilled on the grill and I provide you with my much sought after Mustard Sauce recipe which is excellent on almost all seafood including Grilled Angels On Horseback. 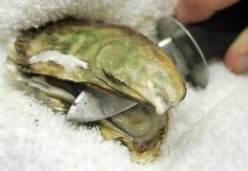 If you love oysters like I do you'll love these delicious recipes and you'll know exactly how to get that delicious oyster out of his shell quickly and easily. Interesting! I don't know many kids who like oysters, but I KNOW these would be a hit at an adult family dinner. Here's another entry for you. Three great family friendly recipes that are cooked in the slow cooker or crock pot. A Trio Of Easy Family Meal Ideals. All Three For The Slow Cooker Or Crock Pot And All Delicious. 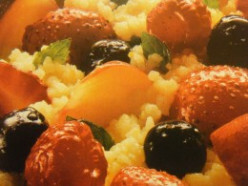 Okay here I went with one of the suggested titles and I don't know how many people have tried Fruited Couscous Salad but not only is the fruit really healthy but so is the couscous. In case you don't know what couscous is just click the link below and check out what couscous is and check out the recipe for Fruited Couscous Salad. This salad is delicious and kids love it. With this one I included the Nutrition Facts Capsule so you can see how healthy it really is. Plus some interesting facts about couscous. Oh, I can definitely see how kids would love this. This is one of my all time favorites that I make all the time. If you like Mexican Foods like I do I think you'll agree that this is quite possibly the best bowl of soup you'll ever taste. I hope everyone gets to make it and enjoy it. You're a recipe GOD, crazyhorsesghost! 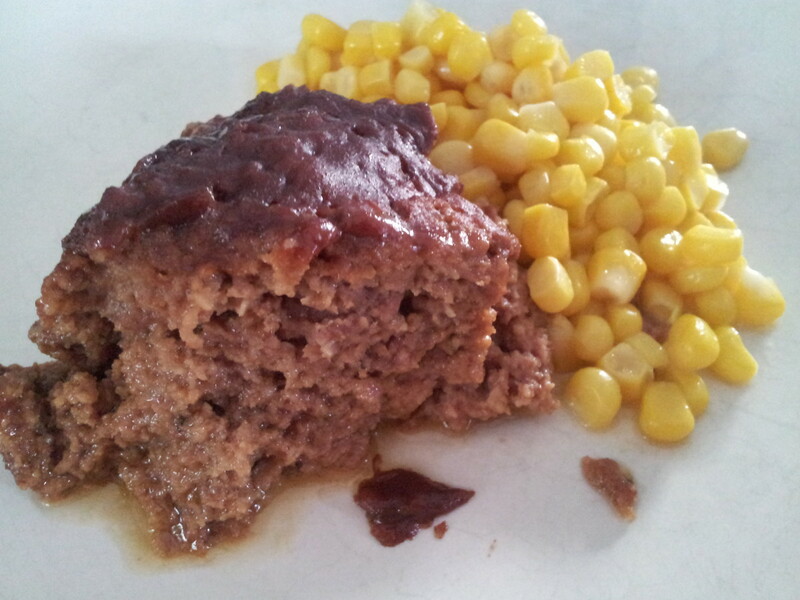 One of these recipes is a Crock Pot meatloaf made with a Jack Daniels BBQ sauce...soooo good! I never had much crock pot cooking as a kid, but I can totally see how it's perfect for families! Thanks for the beautiful Hub! Stir fry- that's a great idea! Hi Simone! Do I only have to click on the contest above my page to participate? Shall I publish my recipe first before I click on the Contest? I know, I feel like an idiot but I don´t want to make a mistake. Thanks for the help. I got it, I think. 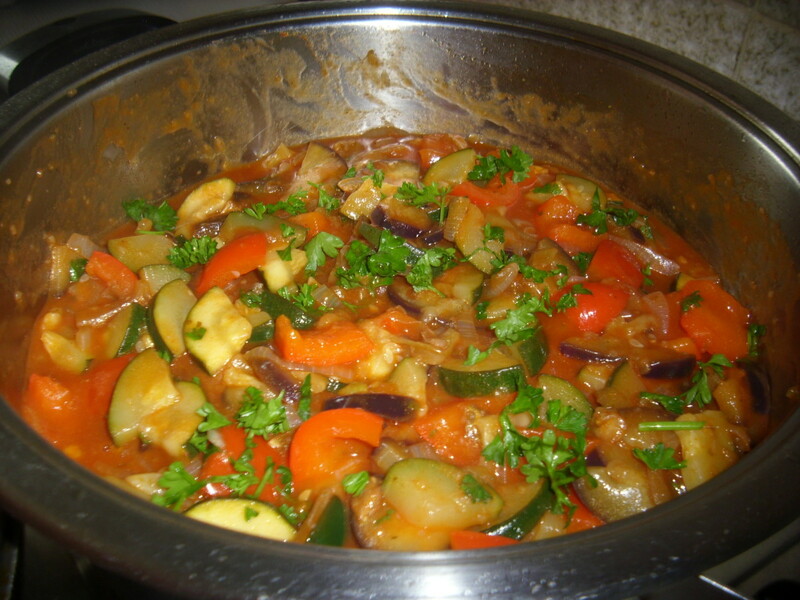 I have just published my recipe hub. Holy cow, this looks amazing. And to participate in the contest, the Hub just has to have a Ratings Capsule set to Recipe Ratings (and meet our entry criteria), which it does. Simone, I'm warning you... this is the craziest and longest hub in the history of hubpages. It took me five days... but hey! You wanted a weekly menu for a large family! And I added a little music to it as well, you know... so it sounds like me. This is a meal plan consisting of main dish, desert, and drink for each day of the week, and for a family of eight. Each meal has an inspiration and a soundtrack to go with it. ENJOY!!! Sorry, I posted this earlier but forgot to include one of the pictures. This. Is. incredible. Well worth the effort, klaraweick! And hahaa, the photo of you with the snorkel mask at the end totally cracked me up! Okay lets try this one. Three easy hot dog recipes for kids. All three recipes include hot dogs and kids love hot dogs. All three recipes are quick and easy recipes to make for kids and I've tried all three recipes on thousands of kids and they all loved them. I hope everyone enjoys these. Holy cow- 16??? I don't know if I've ever been to a family meal that big. Awesome Hub! If your looking for the 10 best hot dog recipes in the world here they are and I'm sure everyone will find a hot dog they love here. 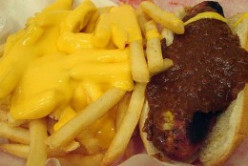 I promise you'll find some of the most unusual hot dogs in the world here. 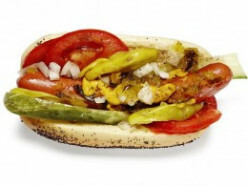 My favorite out of all of them is the Chicago Style Hotdog. Until you've had one of those you've never really had a real hot dog. How To Use Eggs To Feed A Large Family Or Group Quickly, Easily, And Cheaply. Okay here's an ideal for feeding a large family or group quickly, easily, and cheaply. 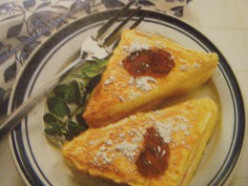 You'll find several recipes and lots of ideals for using eggs. 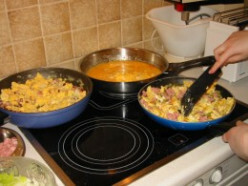 When I feed large families or groups that are on a budget I quite often use eggs because I know I can feed them a delicious meal quickly, easily, and cheaply by using eggs. Oh, neat! I've never cooked with cassava, so this is all new and interesting to me. I decided on Easy Stacked Enchiladas AND a Homemade Sauce as family recipes to share. I strongly feel that you can't have one without the other! As someone else said, this looks really good! Here is my contribution to Family Meal Ideas. It is my mothers spring rolls recipe that I kept for myself until today. I must have done something wrong as this link is not existed when I click on the link. I´ll try again. 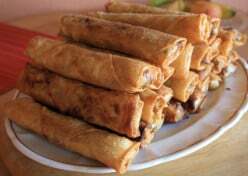 This looks delish...I love spring rolls. We'll find you even if it isn't getting linked here. I don´t know what happen. My link does not exist when I click on it. I´ll try again. SORRY!!! I don´t know why???? 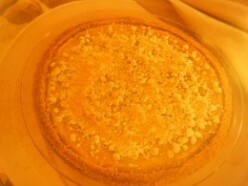 I tried to view the recipe of your previous post (Arlene V Poma). That link is also not working. Thank you, radhikasree. I placed the slash in the wrong place. I've fixed the URL in your post. There was an apostrophe in it. It's not taking, so I'll come back as suggested or report this to ADM. Auggggh!!! But thanks again for catching this error. They look terrific Arlene! Yum! k, you are a lifesaver! Thank you for helping me out. I really appreciate it! Ugh. This recipe is dangerous. Too... too delicious-looking. I'd eat the whole thing. Favorite Chicken and Rice Casserole. Easy to prepare classic family- and budget-friendly meal. Simple, but hugely satisfying. Easy entry for a large family, or great to have leftovers. Nice! I love a good casserole, and they sure are family friendly! Saved by k! Thank you! It's been such a long time since I've done a recipe, so I didn't know what I did wrong except change the title in the middle of writing this up. Many thanks! I'll stick to the original title from now on. Trying to figure this one out is brain overload for me. DOUBLE D-U-H for me! 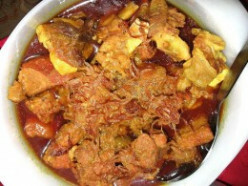 Kids love curry especially the chicken curry and it can be made rather cheaply compared to a lot of other dishes. 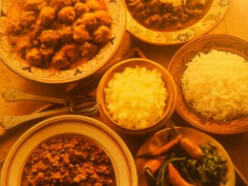 You can double the ingredients in the chicken curry recipe and feed a lot of people. I hope everyone likes this one. Why not try both recipes and let me know what you think. I love curry dishes. I'll be sure to give this one a try. Yum, Denise! 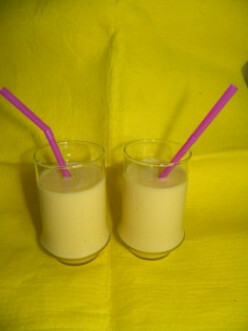 Those are some very practical and tasty recipes that parents will appreciate and kids will love. Good job! Props on the productive week, Denice Handlon! Beautiful Hub! That's it. I'm totally making this. Hi everyone! I'm floored by the awesome family recipes you've shared this week. Since there are still a couple days left of the Cookbook Contest, I've made the latest WTI challenge contest-friendly once again. This week's theme: budget-friendly meals. Stop by the forum thread and join in! I can't figure out why it isn't showing up on here? Family recipe for delicious fried chicken patties. Similar to salmon patties, only much more tasty. Make oodles of small patties for large dinners, or larger ones as the meat entrée for smaller family meals. These are wonderful sandwiches and I can tell you kids love them. I made them last weekend for 300 girl scouts and they loved them. As did the staff. I did not include the turkey on the ones for the girl scouts but they are delicious with the turkey also. Simone I am sorry but I accidentally posted in your other thread. It would not let me delete it. Can you please delete the other post. Thanks. 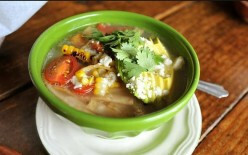 Every year I can hardly wait for my corn to get ready so I can make this delicious soup. I even reveal the secret to this soup that people have tried to get out of me for years. Well now the cats out of the bag. Thanks everyone for reading my recipe entries. I appreciate it. I just ate one of these plain with a cup of hot coffee and believe me it was wonderful. So wonderful I want another but I'll try to contain myself for right now. 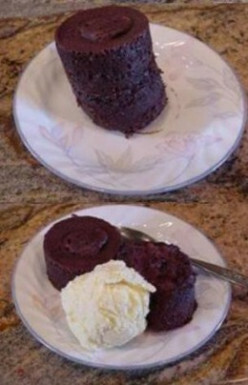 These little cakes are easy to make. In fact so easy to make that almost any child 12 years of age should be able to make them. Just caution them the cake does get really hot. With vanilla ice cream you won't find a better dessert any where.